I-portalen: Welcome to McKinsey Explore 2019! More than half of what we do today did not exist five years ago! 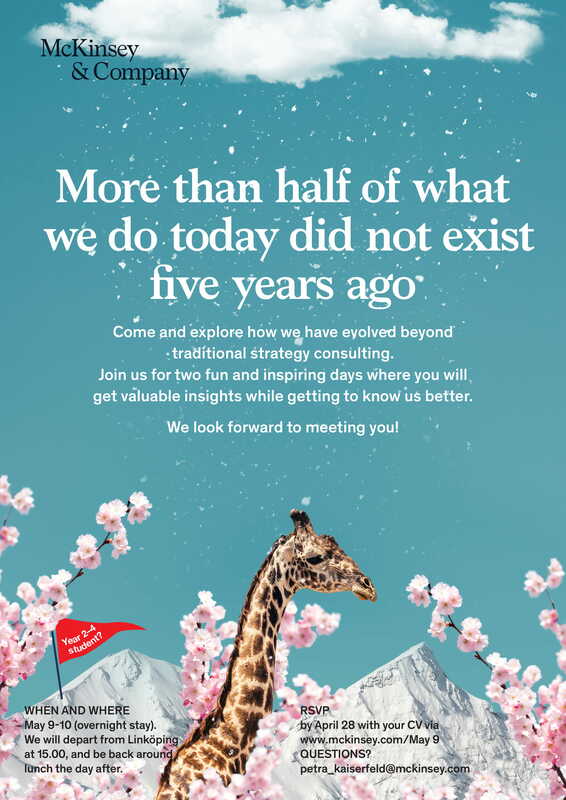 Come and explore how we have evolved beyond traditional strategy consulting. Join us for two fun and inspiring days where you will get valuable insights while getting to know us better.